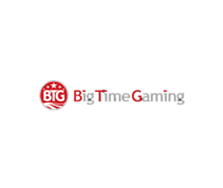 Big Time Gaming is quite a new gaming entertainment company that offers a diverse range of products to suit a wide audience – they offer their games to the online gaming space and work only with operators (online casinos) that operate under the strictest jurisdictional guidelines. Their games can be played in over 20 languages including Russian, Chinese and even Japanese. Their team is made up of industry thought leaders with a proven track record in online gaming – you can see this in their slots as they offer superb themes, innovative bonus features and compelling gameplay. Most of their titles are available to play across all devices which is good. I particularly like Dragon Born, Queen of Riches and Temple Quest. Big Time Gaming slots aren’t as widely available as the bigger software providers but more and more casinos are adding their games with Video Slots Casino, Mr Green Casino and LeoVegas Casino covering most of the slots reviewed here at Online-Slot.co.uk.